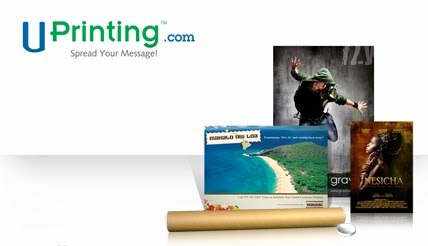 Harvest Moon by Hand’s sponsor, UPrinting.com, is giving one lucky reader an 18″x24″ poster print. I also receive one poster from UPrinting.com for hosting the giveaway; and am so excited to be able to choose one of my digital pictures and have UPrinting.com enlarge it to poster size. If you enter below, you have a chance to choose one of your pictures to have enlarged as well. With the holidays just around the corner, this would make a great gift for someone. 1. Follow Harvest Moon by Hand’s blog (you want to do this anyway to learn about upcoming giveaways!). Leave a comment here letting Harvest Moon by Hand know you are a follower. If you are already a follower, leave a comment anyway, as each comment is an entry. Great giveaway!I follow your blog and I'm a Facebook fan.I put in on the HandmadeMN Facebook page (has way more fans than mine), which automatically tweets under the HandmadeMN twitter acct (again, way more followers). awesome prize, hope i win! thanks so much for sharing with us! This would be cool for my son – print one of my frog photos for his room!